If you see an error like this, then you have a Terminal Record for the terminal you're on but the current time isn't covered. 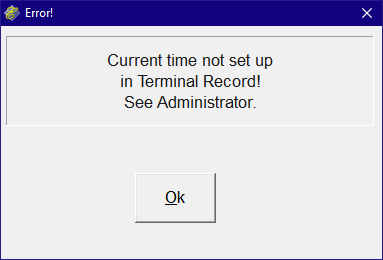 Current time not set up in Terminal Record! See Administrator. If you intend to use this terminal during this time of day, you need to adjust the Terminal Record.